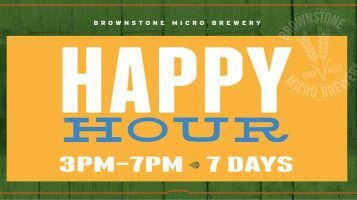 Brownstone Micro Brewery is pretty much custom built for whatever you need it to be. Sit in the courtyard catching the sun enjoying great food and beer. If it’s cooler out, we’ve got couches to lounge on and a cosy fire to keep you warm. Inside or out there’s plenty of space for dinner or drinks, or both even.